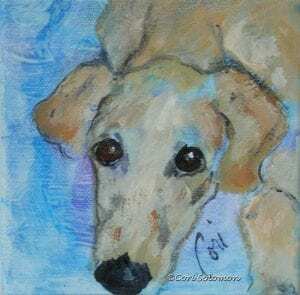 This acrylic painting is of a smooth Saluki puppy. The background wash is created with watercolors. The blues and purples accent the cream color of this Saluki.